The last two kite club meetings have been a little bit lonely. 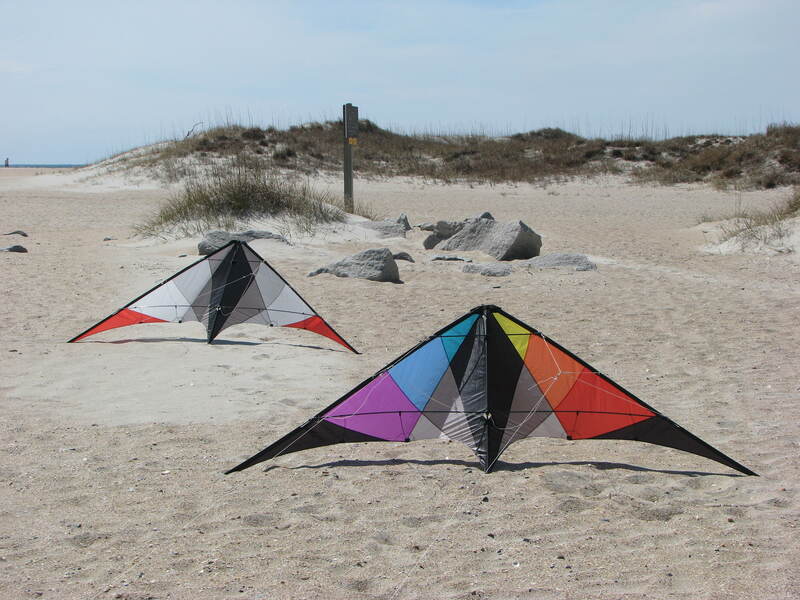 The first began with a message on Facebook that it was raining at Fort Macon State Park and there would not be a fly. Being ever hopeful, we got our breakfast and drove out to the park anyway. At the very worse, we would eat there and visit the gift shop before returning home. Rain? What rain?? It was cloudy and the wind was light but there was no rain. So we headed down to the beach. 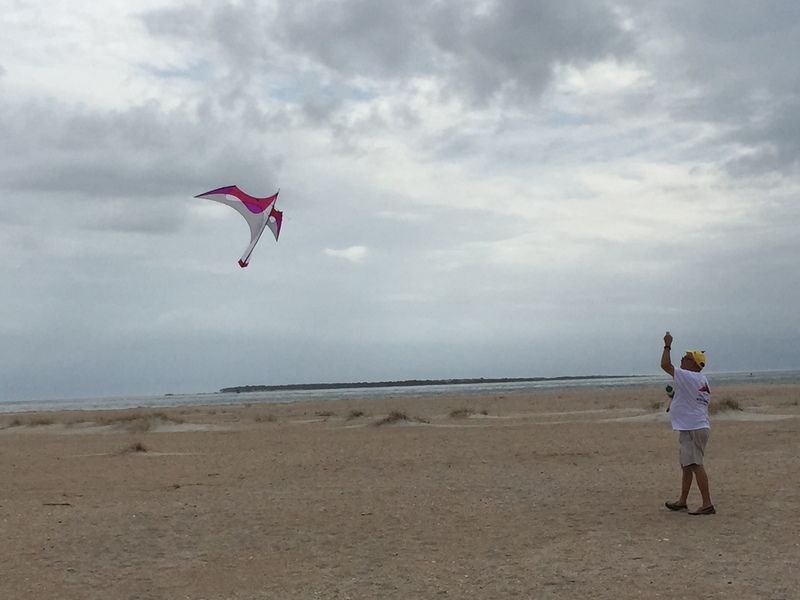 We put up out light wind kites and enjoyed the fresh air, wishing there was some sunshine. 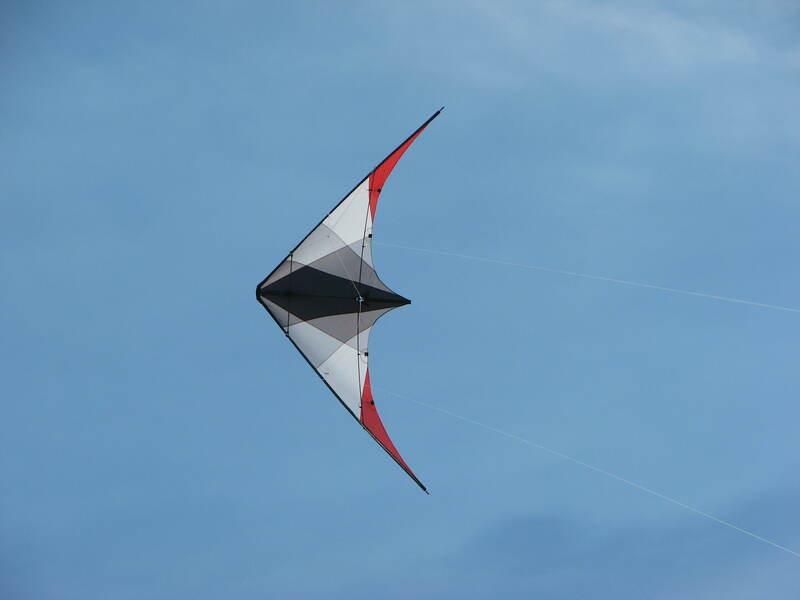 The newest light wind kite in our bag is the Laima by Flying Wings. It looks like a bird soaring in the sky and flies in even less wind than the Skate. The following week was a complete wash-out. There was rain, cold and almost too much wind. We sat in the truck for an hour waiting to see if there were going to be some other “fools” with kites coming to the beach. You never know. Alas, we were the only ones. We adjourned to the kite shop to see what was new and what our other kite flying friends were up to. The days in between were beautiful. The temperatures were warm, the sun shone and the winds varied from light to mid-range and perfect for flying. 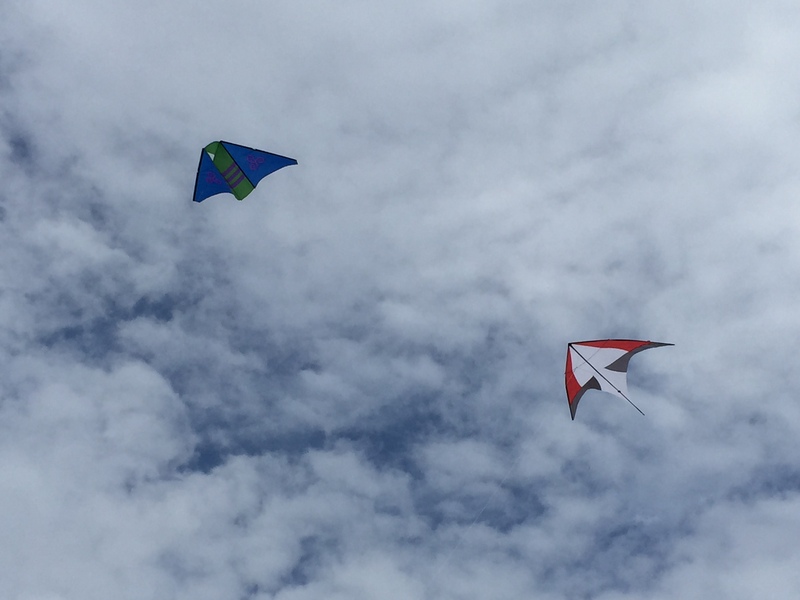 We added two more kites to our vintage bag. Both of them are Skywaves made by David Prentice. 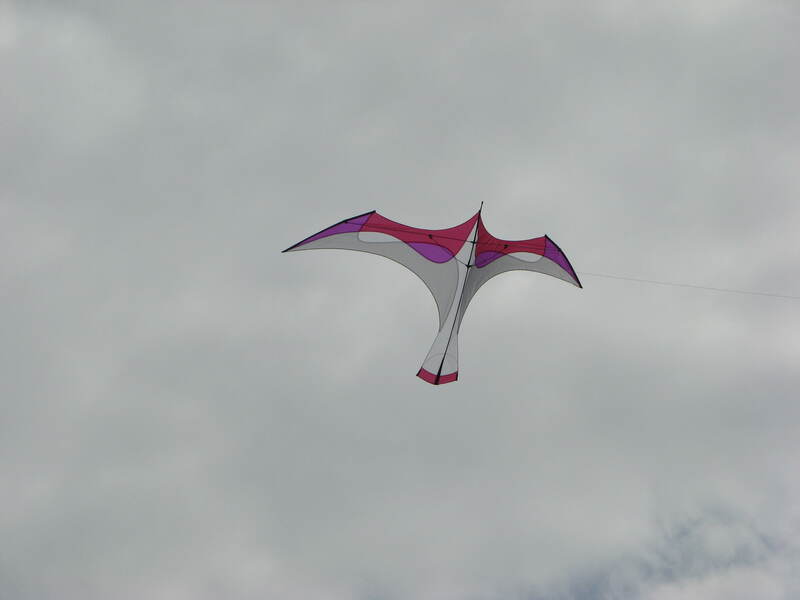 The Skywave is an “old school” dual line stunt kite. 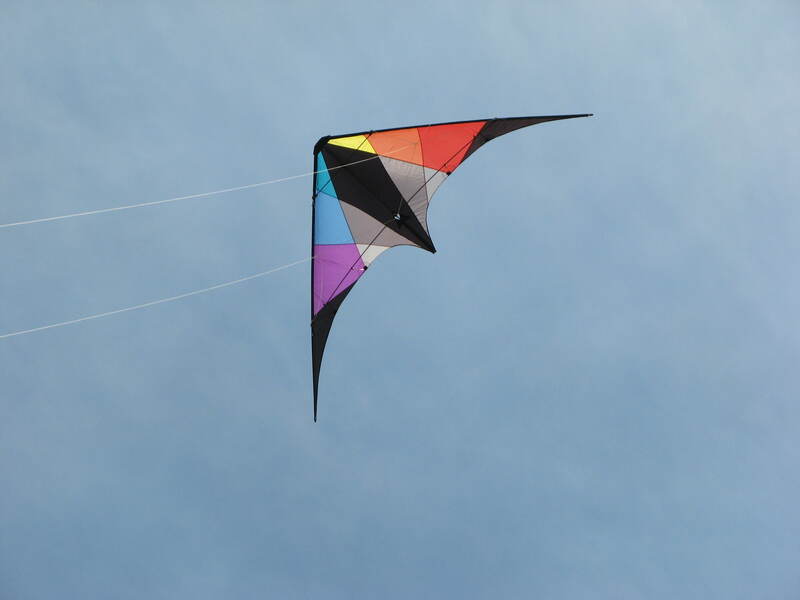 The day we took them out to fly the wind was on the light side and I wasn’t sure there was enough for this kite. 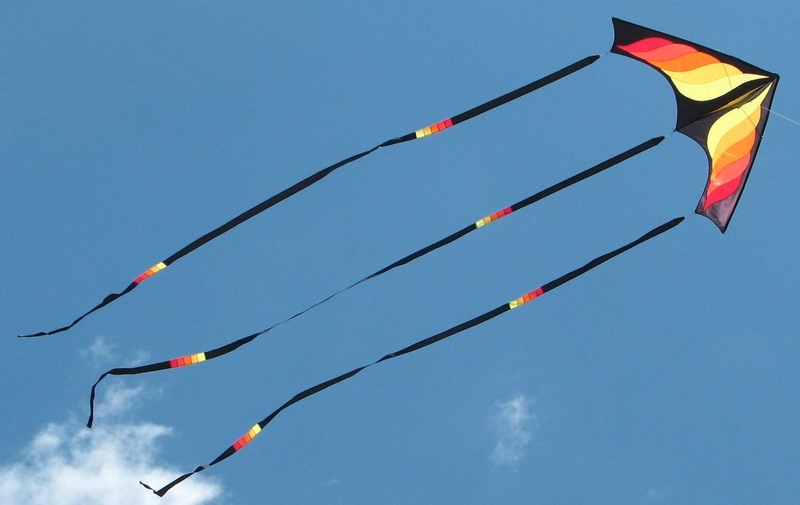 If not, we would have to be content with our low wind single-line kites. Boy, was I wrong. Both flew smooth with hardly any pull. Beautifully responsive and not tricky, just the way I like to fly. So another piece of history landed at our house and we are so pleased.